I've mentioned before that I love indie grab bags. I really think indie grab bags are my favorite way to shop indies. I'm entirely too overwhelmed and too busy to keep track of what is available in the indie market. It's just too hard to narrow down favorites and make decisions, so grab bags are perfect for someone like me. I always tend to put them on wishlists too for gift exchanges which is how I ended up with this Different Dimension beauty! 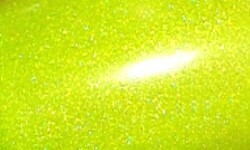 Totally 2.0 is a neon highlighter yellow with scattered holo. Color: I'm not really a yellow polish person at all, unless it's really special. This one is pretty special. It's very blinding and I love the saturation of color. The holo effect in here is subtle, but I prefer it that way. It gives this polish some dimension and depth. Formula: The formula on this was OK. It does have some typical yellow polish traits. I used 3 coats here and you can tell the formula is a bit thinner in some spots. It was easy to apply though. In hindsight, I should have added a top coat because this does dry down to a satin finish. Price: N/A. This one isn't available for individual purchase, but it could end up in a grab bag! Overall: I do really like Totally 2.0 even though I'm not a big yellow fan. 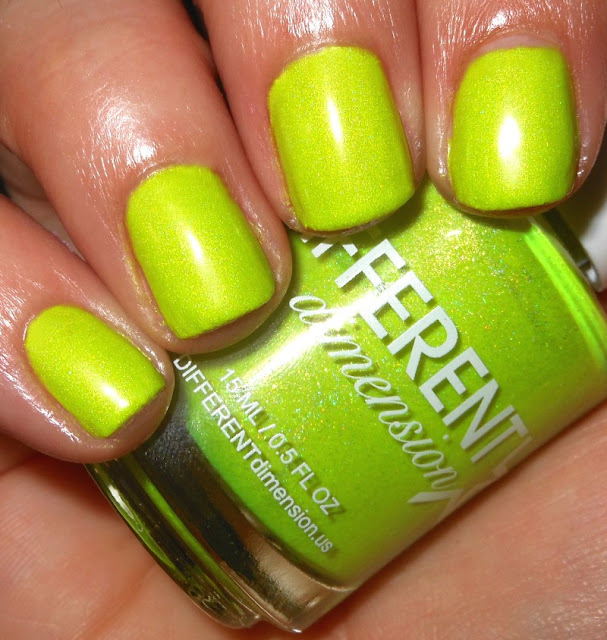 I love the vibrancy of this shade and the subtle holo effect. The formula was easy to apply, though it did have some expected yellow polish properties. All in all, a nice polish.